Home TECH Nigeria telecoms spectrum trading under Probability . Nigeria telecoms spectrum trading under Probability . NCC to enforce use it, lose it or trade it policy. Nigeria’s $68 billion telecommunications sector may from first quarter of 2017 allow spectrum trading in the industry. This, will, however, come after agreement must have been reached by the Nigerian Communications Commission (NCC) and industry stakeholders on the plan. The Director of Spectrum Administration at the NCC, Austine Nwaulune, confirmed this to The Guardian, at a post-event interview in Lagos. Nwaulune said spectrum trading is a management practice that permits transfer of spectrum licence rights and obligations from one party to another in various forms and scope after a commercial transaction duly approved by NCC. It is interesting to note that spectrum is the oxygen that keeps the sector going and in the last 15 years of the telecommunications revolution in the country, it has added about N500 billion to government coffers. The NCC Director explained that there are several spectra that are not put to use by operators, which to a greater extent, had hindered roll out of more telephony services in unserved and underserved areas of the country. He said after NCC might have duly considered the contributions of stakeholders to the framework, “hopefully before the end of first quarter 2017, we should start spectrum trading in Nigeria. It must be mentioned that the enforcement will be through to use, lose it or trade it form. Meanwhile, at the consultative forum on spectrum trading in Nigeria organised by the NCC, Nwaulune said the commission has developed a draft framework, which seeks to get industry input before it becomes adopted. According to him, the framework and guidelines will usher in a secondary market for spectrum trading in the country. Indeed, at the forum, industry players agreed that time has come for the nation to allow telecoms companies to trade spectrum to speed up broadband deployment across the country and increase penetration for subscribers. In his welcome address, Executive Vice Chairman of NCC, Prof. Umar Danbatta, said the commission intended to review the spectrum management policy and develop additional strategies to meet the increasing demand for spectrum by the operators due to expansion of access to mobile services and improvement of quality services delivered by operators. He said an effective spectrum management policy is critical to support the investment in the sector required to expand mobile access. “The Nigerian telecoms environment is rapidly expanding and increasing demand for different data services have put considerable pressure for more spectrum by the operators to deliver services as well as enhance quality of services offered” he said. Danbatta said spectrum trading is envisaged to further liberalise the spectrum management policy and lead to efficient, economic and flexible transfer of spectrum to users who value it most; Lessen barriers to market entry by allowing flexible access to spectrum more readily. According to him, it will also promote the developments of market competition; further innovation as entrepreneurs acquire spectrum and offer new services; and create opportunities for new investors. “It is basically a secondary mechanism of assigning Spectrum with the capability of unlocking the potential of new technologies and reducing barriers to new entrants in the industry,” he stated. Danbatta added that spectrum trading is now seen as a key step to be taken in the reform of spectrum management regulatory practice by eliminating artificial scarcities which increases the prices of spectrum using services and the affects the competitiveness of different companies. According to him, this will also create avenue for various forms of partnership that will ensure that spectrum is not left unused in any part of the country. He stressed that to address the objectives and enhance the deployment of telecommunications services across the country, the NCC is considering the adoption of spectrum trading as a means of enhancing the utilisation of spectrum in Nigeria. “Only recently, the commission approved the re-farming and re-planning of various frequencies to improve their efficiency. “Through this process, some service providers who were hitherto providing 2G services on the 1800 MHz Spectrum band have been allowed to re-farm part of the spectrum to deploy 4G LTE services on the band. Part of the CDMA Spectrum was also re-planned with LTE services now being deployed on the re-planned band,” he added. In his contribution, Prof. Hama Nwana, of Atlantic Telecoms and Media, United Kingdom, said secondary market would enable spectrum resources to shift from low-value users to higher-value users. 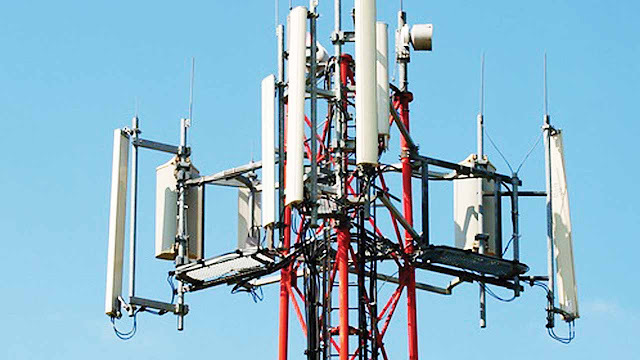 Nwana said Nigeria can manage spectrum in three ways including command and control; market led and licence exemption. While citing countries including India, UK, USA, among others where the exercise has been successful, Nwana listed challenges to spectrum trading in developing market to include very immature spectrum market regime; poor record of spectrum enforcement decisions; lack of firmly independent and converged regulator; spectrum hoarding among others. From his perspective, former EVC of NCC, Dr. Ernest Ndukwe, said spectrum trading will provide incentives for innovation and encourage faster deployment of new services at affordable rates. Ndukwe, an ardent supporter of spectrum trading, said with wireless broadband requirement for spectrum being almost insatiable, spectrum trading will encourage better use of spectrum resources that are idling across the country.